IIT Mandi has been active in promoting Research through various programmes funded by national organizations and industries. The main focus areas are Green Energy and Materials Science. 1) Grid-Connected/Stand-Alone Power Electronic Converter Control : The objective of the research is to develop simulations and experimental set-ups for interfaces for RES with grid connected PES control using intelligent and advanced digital signal processing techniques. 2) Energy Storage : The objective of the research is to develop simulations and experimental set-ups for interfaces for RES with grid connected PES control using intelligent and advanced digital signal processing techniques. 3) Improving Efficiency of Plastic Solar Cells : The main research goals include development of novel conjugated polymers, new device architecture and morphology optimization for the betterment of the device efficiency. Design and synthesis of conjugated polymers having low band gap and high hole mobility will be undertaken. The IIT Mandi has a strong vision to form an active materials science research group. The Institute focuses on practical applications and dissemination of materials like smart material, high energy materials, nanostructured materials for biomedical and sensing applications, materials for high density magnetic storage devices, polyoxometalate based cluster materials for solar cell, photocatalysis etc. 1. Development of smart complex oxide materials : The main research will focus on understanding both kinetic and thermodynamic aspects of the fabrication process of these materials, interfacial phenomena in multilayer devices, developing high temperature piezoelectric materials. 2. Complex transition metal oxides for high density magnetic storage devices : The research focus on complex transition metal oxides which find its use in high density magnetic storage devices, magnetic read write devices, eco friendly electronic materials. 3. Biomedical applications of nonmaterials : In this part of research the main focus will be on the specific targeting on the cancer cells as well as other therapeutic by synthesizing different size gold nanoparticles attached to DNA aptamer and characterizing the electronic and optical properties of Au-NPâ€™s. 4. Nano-scale light harvesting device fabrication: Development of Polyoxometalate (POM) based cluster materials and organic-inorganic hybrids for various materials and catalytic applications. The targeted applications include nano-scale device fabrication, light harvesting and water splitting complexes. 5. Supramolecular High Energetic Compounds (Supra-HECs): Research in the field of energetic materials is generally directed towards achieving enhanced performance and reduced sensitivity. Novel energetic compounds with above stated properties are required to enhance the performance of munitions and propellants. 6. Synthesis of nanostructure materials using `soft' templates : This part of research on material science focus on nanocrystallisation of organic materials using SLC templates, preparation of noble metal and alloy nanostructures, polymer nanostructures and metal/polymer composite nanostructures. 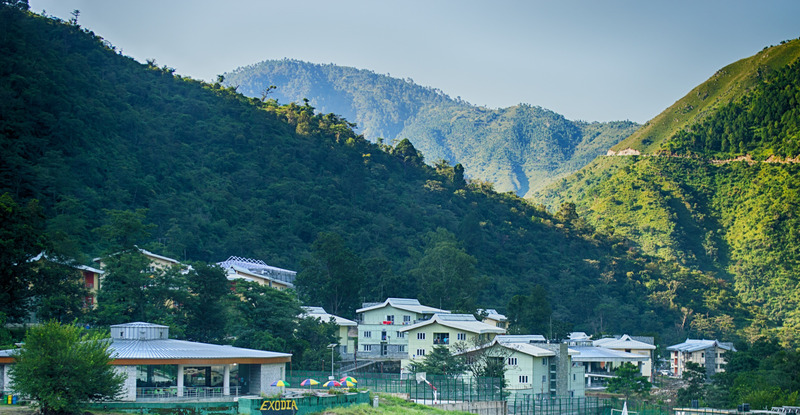 IIT Mandi aims to provide state-of-the-art facilities that are necessary to give wings to creative ideas.